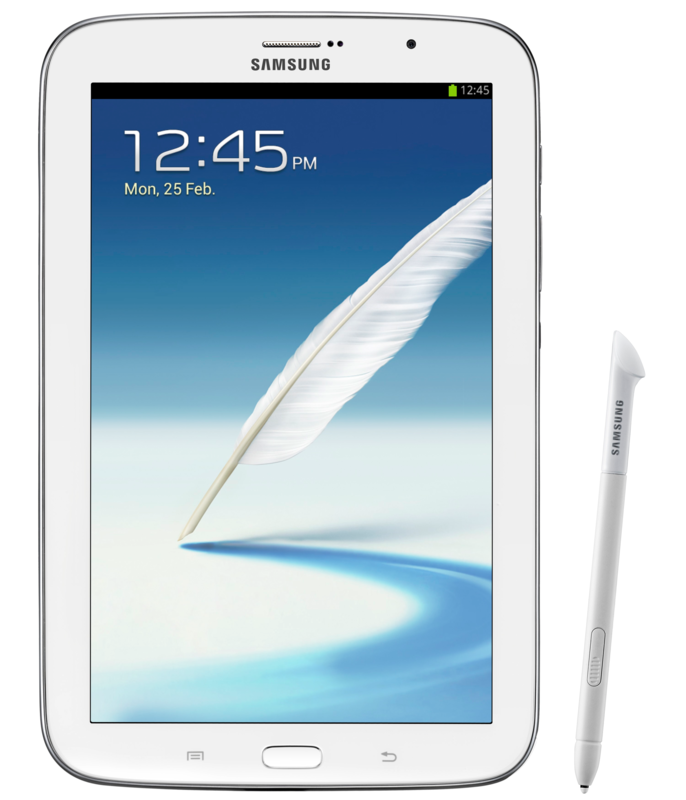 On April 11th, the Samsung Galaxy Note 8.0 officially went on sale in the US in a Wi-Fi only flavor. I can tell you this already - if someone were to offer me one of those or a Nexus 7 3G, I'd take the Note 8.0 no questions asked. I think it's probably the best all-around Android tablet currently on sale, squeaky plastic and giant-Note II look be damned. That said, it also costs $400! Now, that nets you 16GB of built-in storage with a microSD card slot, 2GB of RAM, a rear camera, Android 4.1.2, and a digitizer-equipped 8" 1280x800 display with a smart stylus. But for $100 less, you can get a Nexus 7 with 32GB of storage, Android 4.2.1 (with a near-guaranteed and likely fast upgrade to the next version of Android), 3G connectivity, and the comfort of knowing a whole lot of apps have already been optimized specifically for your device. Since the Android 4.2 update, though, I've become rather disenchanted with my Nexus 7 - it's slow, twitchy, and the battery life isn't great. The question on my mind, as I think is the case with many other people, then, is this: how much cheaper would that Note 8.0 be if you took the whole 'Note' aspect out of the equation? Drop the digitizer and S-Pen, and keep the same 1280x800 LCD panel (which actually looks pretty decent), along with everything else. Would it be $350? $330? $300? I don't know about the rest of you, but I'd be pretty willing to drop three-hundred bucks on a de-Noted Note 8.0. It weighs as much as a Nexus 7 but is significantly thinner (by 2.5mm), has a larger battery, and is noticeably quicker. Sure, a refreshed N7 could make some of these pros moot, but I also just like the size of the screen - an 8" tablet seems optimal to me. I just couldn't care less about the stylus. However, there are those out there who rather vociferously disagree with me on this issue, and praise Samsung for being the only major manufacturer to stand behind building a consumer-friendly, stylus-optimized tablet. My answer is generally that Samsung's Note tablets are catering to a non-starter market, because the number of stylus-optimized apps - which is what really matters - remains extremely low on Android. Even Samsung's own stylus-based apps don't come near supporting the supposed 100+ levels of pressure sensitivity the Wacom digitizers in its Note devices are capable of detecting. Adobe has all but nuked its creative aspirations on Android, and while AutoDesk's SketchBook apps remain very popular, there simply hasn't been an explosion of stylus apps on Android. Why spend the extra money on something that is largely unsupported? Microsoft built a stylus-enabled tablet with hardware palm rejection that pretty easily bests everything on the market but pro-level dedicated Wacom surfaces. It's pricey, but it's also pretty hard to argue that, if you're a serious artist or draw as part of your profession, that there's much of a reason to look down market to Android for your mobile sketching needs. There are simply much better tools out there. Anyway, I'm now asking you: do you want to pay more for a tablet just because it supports a dedicated stylus input option? Or is Samsung (basically the only company doing it) limiting itself to a niche market by marking up otherwise good tablets to arguably uncompetitive price points? Make your vote known, and sound off in the comments below. Is stylus support on an Android tablet actually worth paying significantly more for? Yes - I will happily pay significantly more for a dedicated stylus on an Android tablet. No, but I would definitely favor a tablet with stylus support if it didn't cost more. No - I really don't care about having a stylus on my Android tablet in the first place.